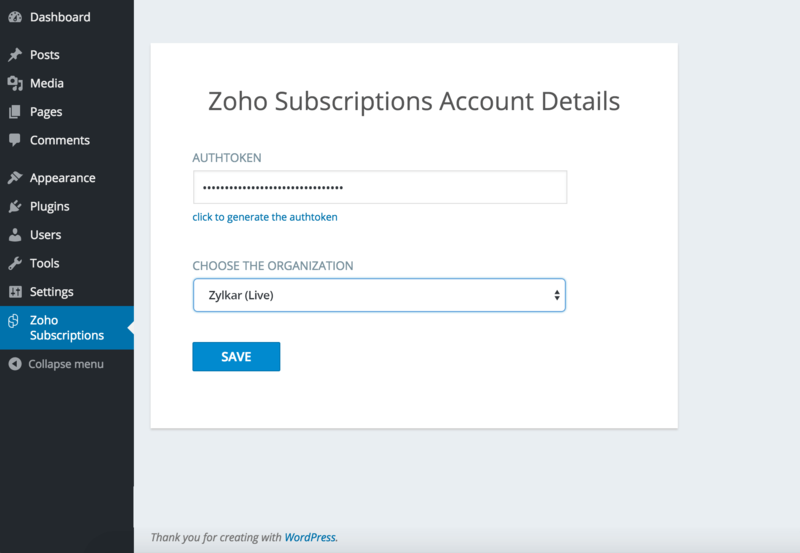 How to install the Zoho Subscriptions Plugin in WordPress? In your WordPress admin panel, go to Plugins > Add New. 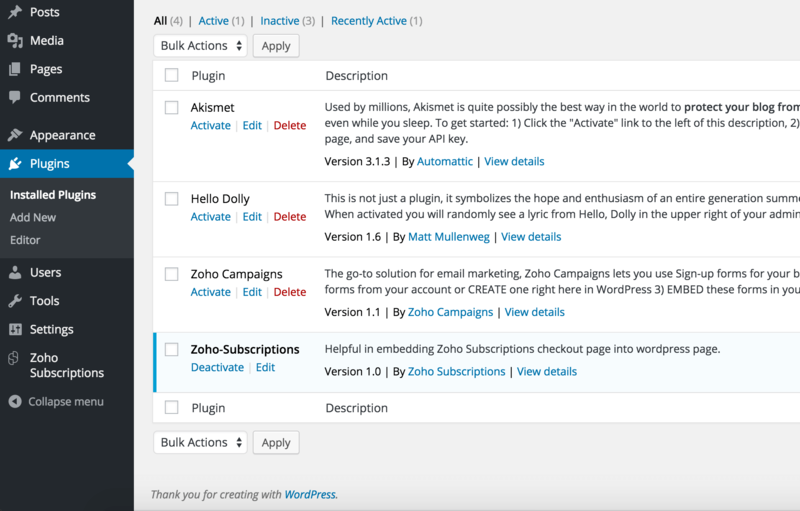 Search for Zoho Subscriptions plugin in WordPress. Click on Install Now button to download the plugin. Now, click on Activate Plugin. 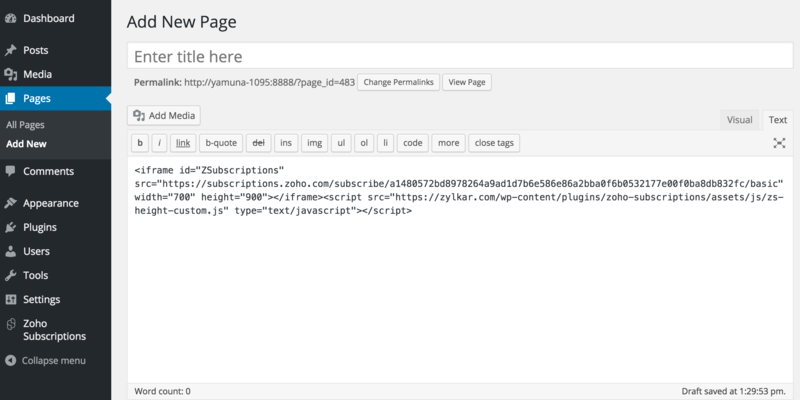 After activating, Zoho Subscriptions plugin will be displayed in the WordPress Plugin list as shown below. Once you install the Zoho Subscriptions plugin on WordPress, you need to integrate your Zoho Subscriptions account with WordPress using an authentication token called Authtoken. 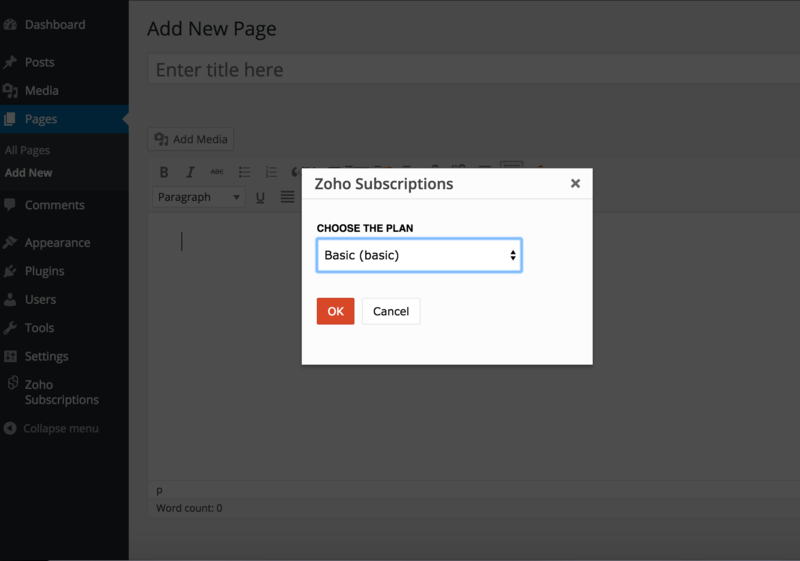 Click on Zoho Subscriptions present in the left navigation pane. Zoho Subscriptions Account Details page will be displayed as shown below. Enter the Authtoken – An authentication code unique to your Zoho Subscriptions account. Once the Authtoken is entered, it will immediately fetch organizations for the entered Authtoken and the organizations will get pre-populated in the drop down. You can choose your respective organization as shown below and click Save. 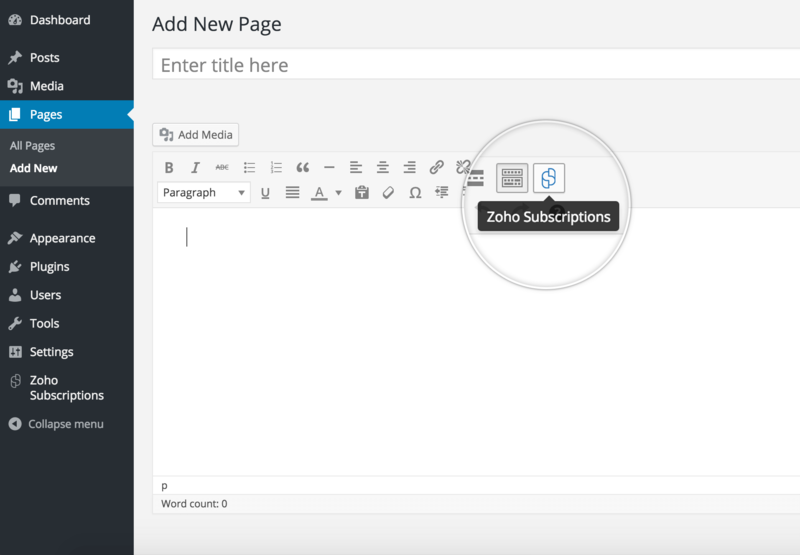 Now, you have integrated your Zoho Subscriptions account with WordPress. You can proceed to embed your checkout page in an iframe. To open a new editor’s page, go to Pages present in the left navigation pane and select Add New. Then click on the Zoho Subscriptions icon present on the page as shown above. CHOOSE THE PLAN from the drop down, that gets pre-populated as per the selected organization. Once you choose your plan click OK, your respective checkout page gets embedded in an iframe. You can view the embedded code in the Text editor as shown below. 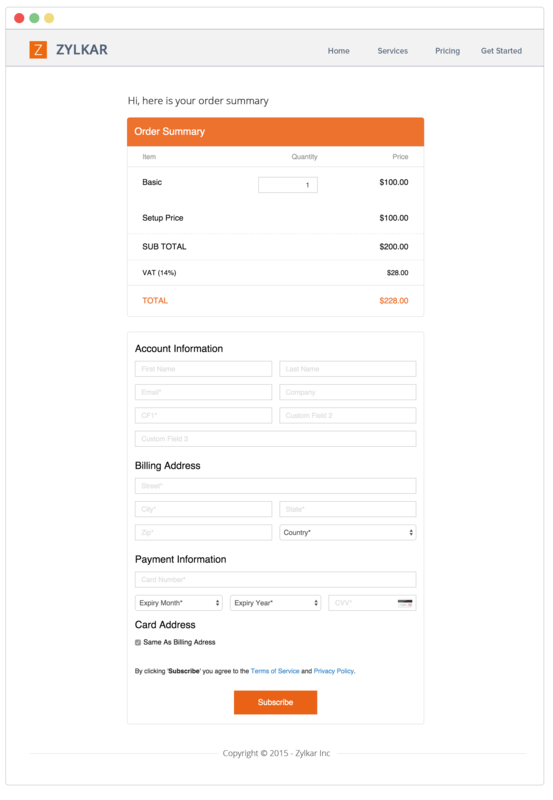 Finally, save to view the embedded checkout page in your site, which would be similar to the one shown below.